I know I already reviewed The Reluctant Godfather, but I’m reviewing it again. This one is a full-length review as part of Allison Tebo’s blog tour for her new novella. You can enter the giveaway here. Allison Tebo is a Christian homeschool graduate in her mid-twenties, who works part time as a sales associate for a major transportation company. A graduate of London Art College, Allison pursues avenues in cartooning and illustrating as well as singing and voice acting. In her spare time she writes and blogs at www.allisonswell.com. It is her goal to write fiction that appeals to many different kind of people, by writing clean, classic fun. Her faith in Christ directly influences all she writes about – or does not write about. Whether the story possesses a strong message or is simply fun and imaginative fiction – her desire is to bring honor to God – and to provide quality stories for everyone to enjoy. Burndee is a young and cantankerous fairy godfather, who would rather bake cakes than help humans. A disgrace to the fairy order, Burndee has only two wards entrusted to his care…a cinder girl and a charming prince. I got this book on a free day, and I was so excited! I’d really been looking forward to reading it. 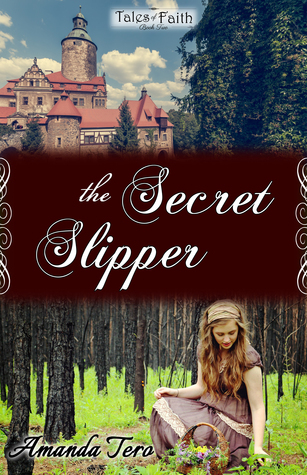 A retelling of Cinderella from the perspective of the Fairy Godfather? Sign me up! Then I skim-read it again (although it was hard; I really wanted to just settle in and enjoy it!) so I could rewrite this review. I’m going to have to read it again sometime sooner or later … it’s really that good! 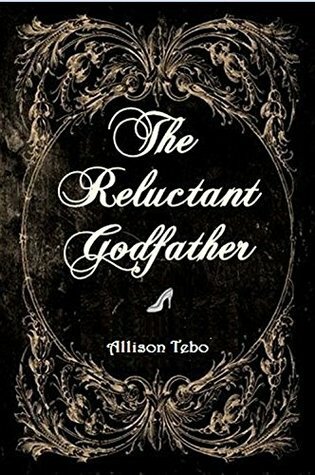 The Reluctant Godfather is a fantastic story. Once I started, I couldn’t put it down. It was hilarious, causing me to laugh aloud several times. Allison’s writing style is unique and engaging. It’s light and just a bit silly, but completely self-aware and quite clever. I can’t tell you all the amazing twists and turns of the plot without giving away spoilers, so I’ll just say that this retelling leaves no cliché unaddressed. Sometimes I thought, “Oh, well, that’s gonna be a little cliché …” and it turned out so creative! It’s truly a work of genius. And it’s really funny. What’s not to love? I honestly can’t stop raving about it. I’m not going to rant on about the amazingness of this book forever, but you must read it! Really. Get yourself a copy. Have you read this book? Are you going to? Did you check out the giveaway and other blog posts? What are your thoughts on fairytale retellings? Today I decided to post an excerpt of The New Diary. This is my personal favorite scene … and one of the author’s favorites, too! “I could use that piece of angel food cake left over from supper,” Carol agreed. She opened the door, and started for the kitchen. “Carol! Wait!” Pete hissed, causing Carol to turn around. “We need to have a plan. In case those People catch us,” Pete’s whisper turned mysterious and mischievous. Ethel giggled, and Pete shushed her. “We need to be very quiet. Any unnecessary noise will bring the People in here, and ruin the raid,” Pete cautioned. “If we’re going on a raid, we need to have code names,” advised Margaret, joining in the game. “Okay, well, that’s easy. I’m Crackum. And Pete’s Pete,” Carol said. Crackum was Carol’s old nickname. Pete’s sisters burst into giggles. “Shh! You’ll wake the People!” Pete hissed. But Carol could tell that Pete was trying to hide a smile. Maggie also saw the hidden grin, and renewed her laughter, and so Carol and Ethel laughed again. All the giggling finally made Pete laugh, which brought fresh rounds of mirth. When the girls finally sobered, Pete resumed her instructions. Ethel snorted, but the rest were able to refrain from laughing while Ethel regained her composure. “Right here, in front of you,” replied Carol. Margaret burst into giggles, and the girls were helpless with laughter for another two minutes. “If that’s my code name, I’m here,” Maggie replied. Carol, Maggie, and Ethel immediately disobeyed the last rule by laughing. It was another five minutes before they executed the plan. So they put the plan into action. The girls tiptoed into the kitchen. Carol tried hard not to laugh, as she followed Captain Repeat to the pantry in the dark. She was sure Maggie and Ethel were also forcing themselves to keep silent. Carol was glad for the dark; she couldn’t see the others’ faces. Carol couldn’t hold it back. She burst into giggles, and laughed so hard, tears streamed down her face. Of course, Maggie and Ethel had been on the verge of laughing, too, so they soon fell to the floor, laughing and gasping for air. Carol heard Pete gasp like a real captain might do when a mission failed, but she succumbed to the humor of the situation, and laughed right along with them. But then, a lamp light moved toward the kitchen. Mother’s oil lamp lit up the kitchen, and she skeptically viewed the howling girls. “What is going on in here?” she exclaimed. Pete regained her composure first, so she tried to explain. The giggling of her sisters interrupted her many times. Snorts from Ethel and Carol brought frowns from Pete. Margaret still lay on the floor catching her breath. “And you didn’t bring a light because…?” Mother inquired. “No, because Margaret couldn’t find-” Carol broke off, as Margaret and Ethel started laughing; it was contagious. Pete tried. “She couldn’t find the-” and she failed. Mother folded her arms. She failed to see the humor, so Margaret hurried to finish the sentence. “I couldn’t find the silverware!” she burst out, before she convulsed into more giggles. Mother shook her head, and left them to find the silverware in the lighted kitchen. The girls ate their fill, then went to bed. In spite of the darkness in the house, Carol found a lamp, and wrote the events of the day in her diary. She smiled and chuckled, not too loud for she didn’t want to disturb Maggie, as she recalled their silly antics, just an hour ago. Excited to read it? Add it on Goodreads here!